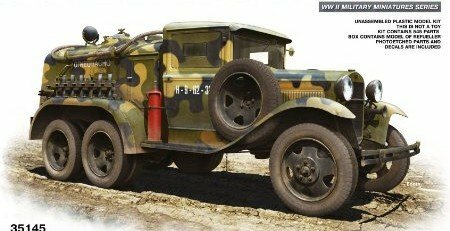 Although manufactured by Hanomag, Skoda, Horch and others, the Sd.Kfz. 251 halftrack became known simply as “The Hanomag”. This is probably the most recognizable infantry vehicle of the Second World War. It is like that because it is one of the most numerous – more than 15 000 were built and widely used by the Wehrmacht. 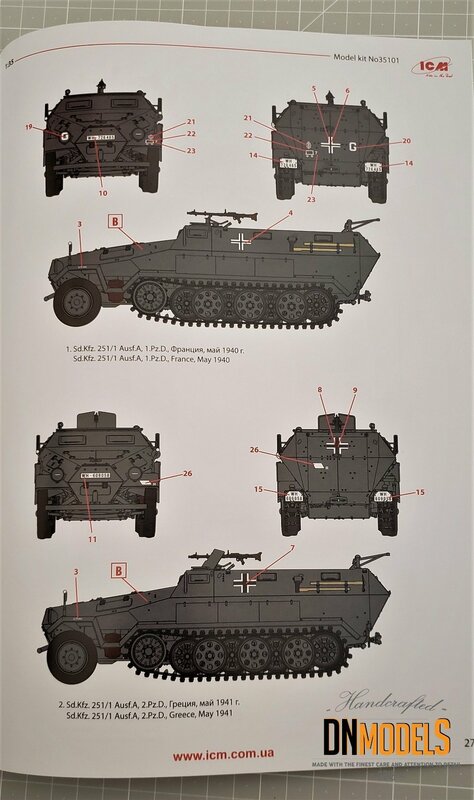 There were four different modifications of Sd.Kfz.251 and each of them had sub-variants, totaling more than 20 options based on the original design. The initial idea was quickly developed and expanded, and from simple troop carrier, the Hanomag turned into a platform for many various roles, such as reconnaissance, support, communication and fightning. With that said, it is pretty clear that such a vehicle has to have various options for scale modeling purposes as it did in real life, and in fact it does. There are many boxings available as of today. 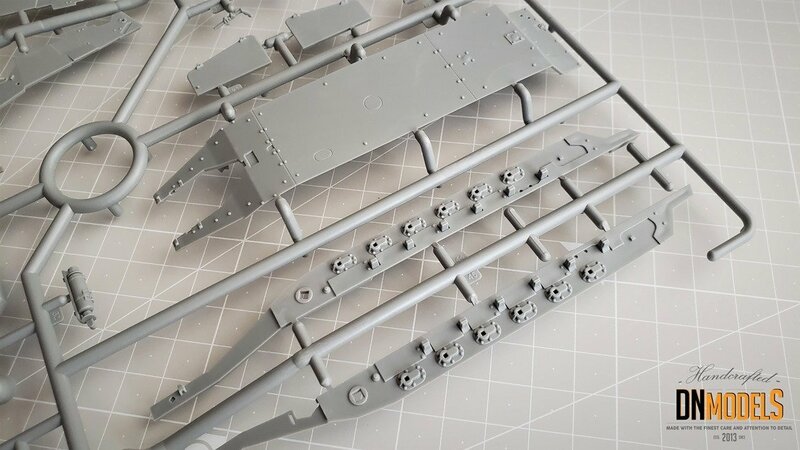 From AFV Club, through Zvezda, Tamiya, Dragon and Revell. All in 35th scale. Dragon and AFV are considered the leaders when it comes down to 251, but is that going to last? Here, we’re going to take a look at a new offering, this time from ICM which is on the market for less than 12 months. 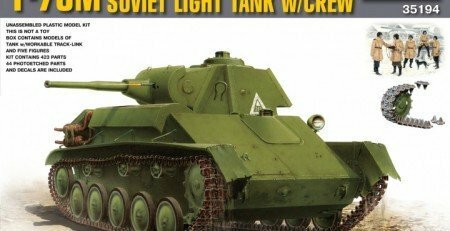 It is fresh and it comes from an Ukrainian model maker with a good name and reputation. So without further ado, let’s take a peak in the box. ICM provided a very nice and freshly looking box, with bright sky and spring grass, over which a Sd.Kfz.251 just rolled on. It is a part of a fighting scene, but it looks vivid and pleasant, lacking the grim appearance that we are used to. 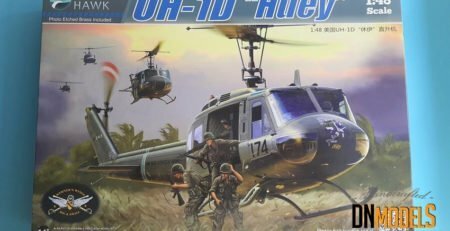 The box itself is not big, and it looks smaller than some 72nd scale offerings. Compact and cozy when you peak inside. Once removing the lid, there is a box made of cardboard which is with closed top, something that few companies choose as an option. 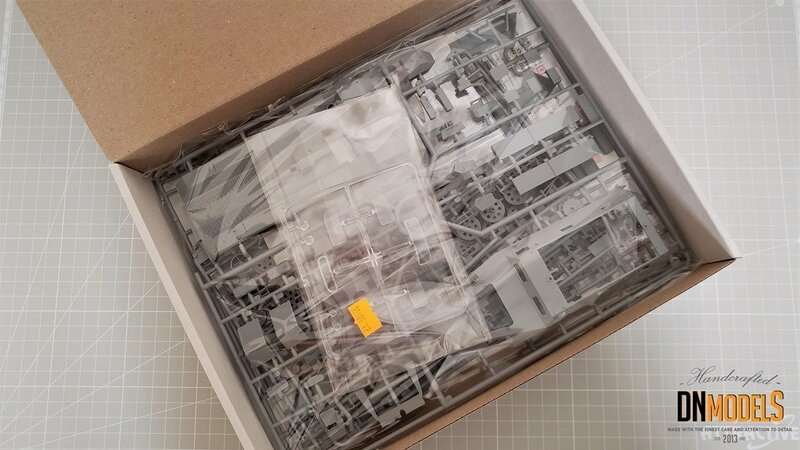 Inside, there is an envelope holding the sprues and all that provides pretty secure packing for this rather small vehicle. On the bottom there is an instruction sheet, with the small decal sheet inside of it. Everything is packed so one can easily open everything and then put it back in and most importantly, close the box afterwards. 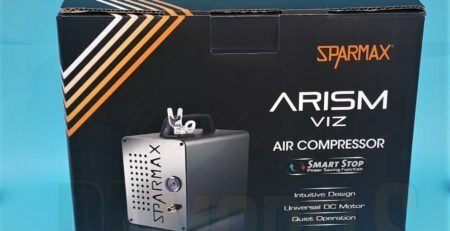 Some of you might think this is a joke, but lately, many models are crammed in their boxes, which often times leads to unwanted damages and even without them – to unpleasant bulges of the original packings. Then, to more complex stashing. 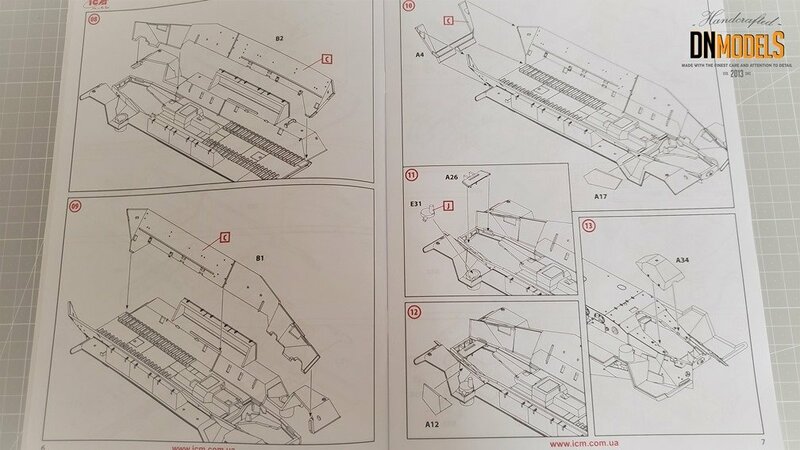 The instruction sheet is in a form of /approx./ an A4 booklet that starts with basic info about the Hanomag and ends with the color schemes that you can choose from. The information is sparse, but considering that some makers lack such page completely, we have to give it to ICM. 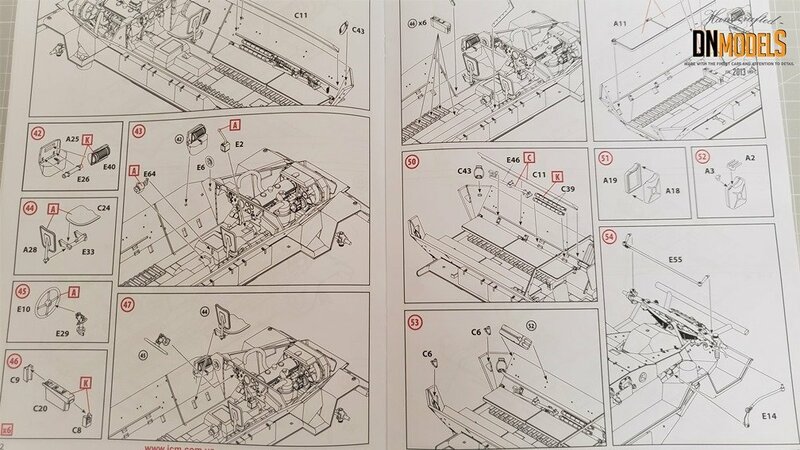 Once the build starts, everything is clearly depicted and logically arranged. There is no unnecessary complications, nor too many explanations accompanying the steps. There is color here and there, but it is only a guidelines in red and nothing way too motley. 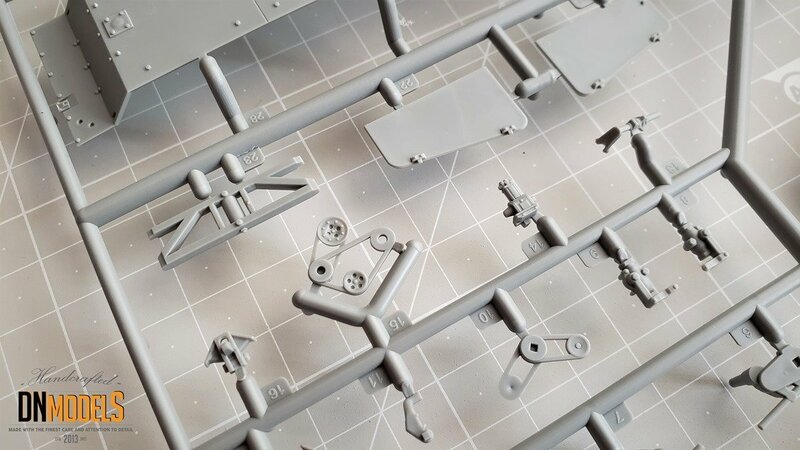 From the instruction sheet one can quickly grasp that the kit is thought of inside and out. There is an engine, nice suspension, interior features and details even where you have to stuck a dental mirror to enjoy. 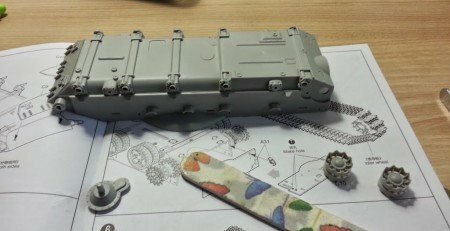 ICM did leave some space for aftermarket producers to intervene, but OOTB is pretty satisfactory detailing with this Sd.Kfz.251. It is an open bed with this vehicle and that attention was mandatory for every company with self-respect. Great job from ICM if you ask me. This detailing and attention is all over the whole build and it concerns every element. 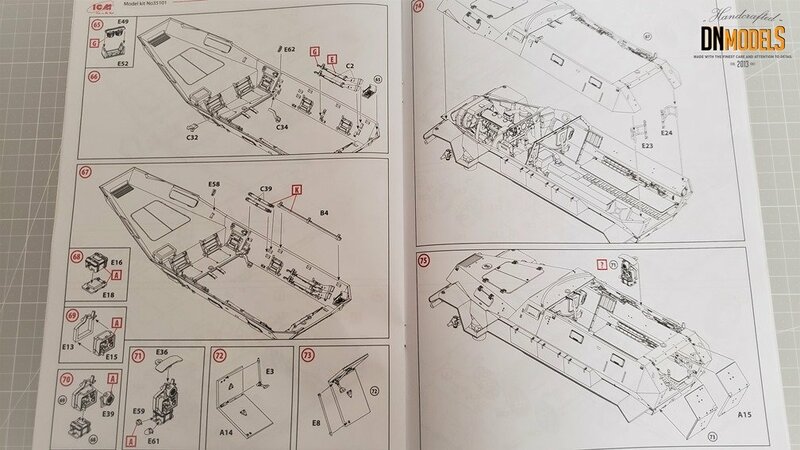 Something that if you don’t get from the pictures of the instructions, you will easily get looking at the plastic. And as far as the paint options go at the end of this sheet, we will get back to that later in the article. The plastic is light gray and looks pretty decent at first glance. It is flexible, but not soft to the point where it might cause troubles. 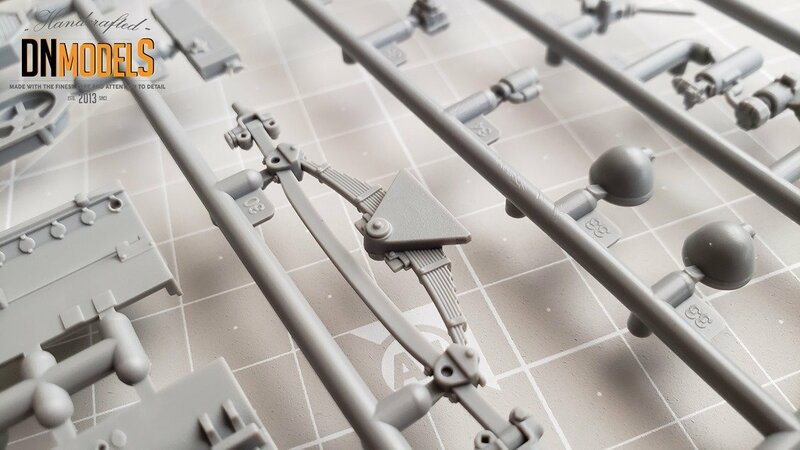 On the sprues there are no elements that are moulded with embedded tension, but even if there were, the material allows for corrections. That is encouraging, especially when someone gets an ICM kit for the first time. The price of the kits from the Ukrainian manufacturer is rather low, so the good news here are that this is not based on the lack of quality. The details are all over and very intriguing. Nothing is overdone with this kit, nor too complicated. Just the contrary. 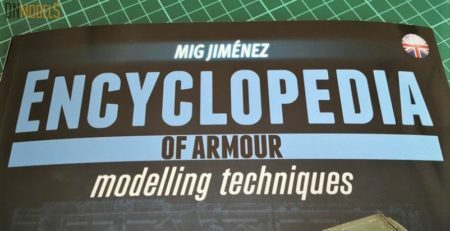 For me it is inevitable to compare ICM with MiniArt, since they both origin from the same country. My conclusion is that ICM is more user-friendly, although MiniArt offer a lot more sophistication. 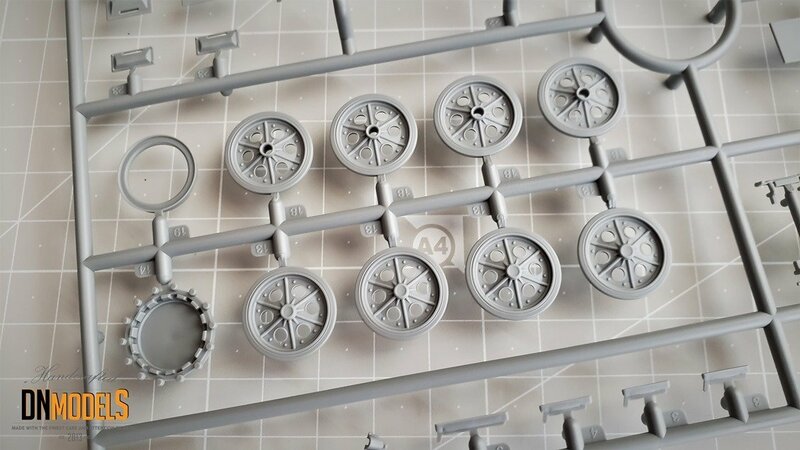 With that said, I must add that MiniArt, especially their tanks are not suitable for beginner modelers, while this Hanomag here will be just fine in the hands of inexperienced modeler. 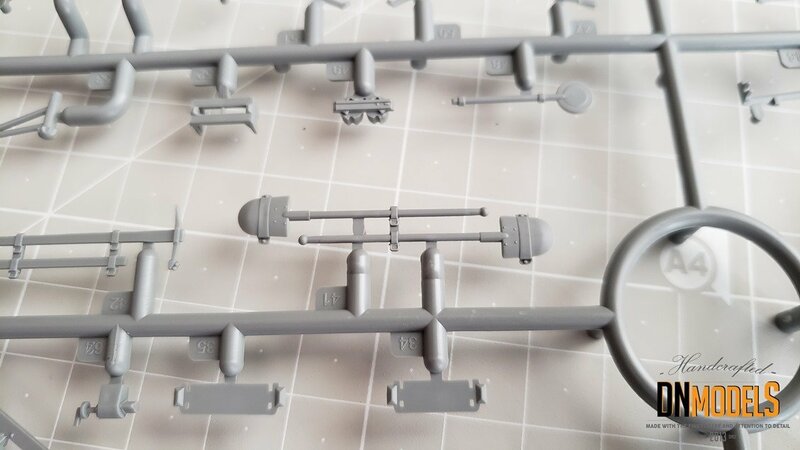 And since we are talking sprues here, the quality is similar at first glance. 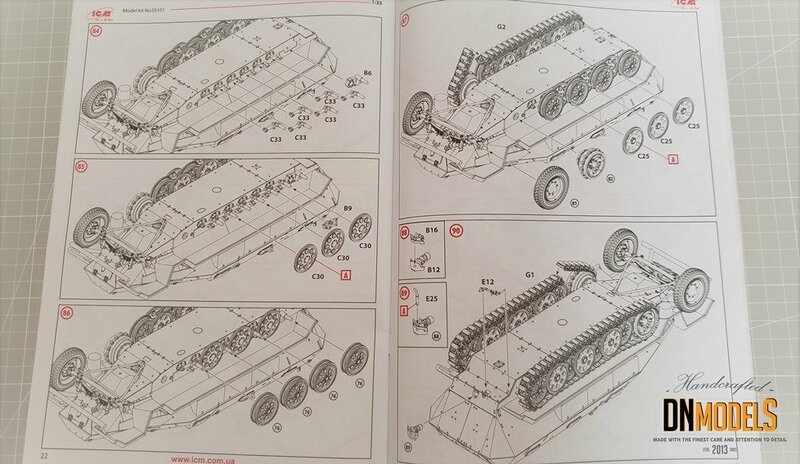 The other parallel that has to be drawn is between companies that already offer Sd.Kfz.251. 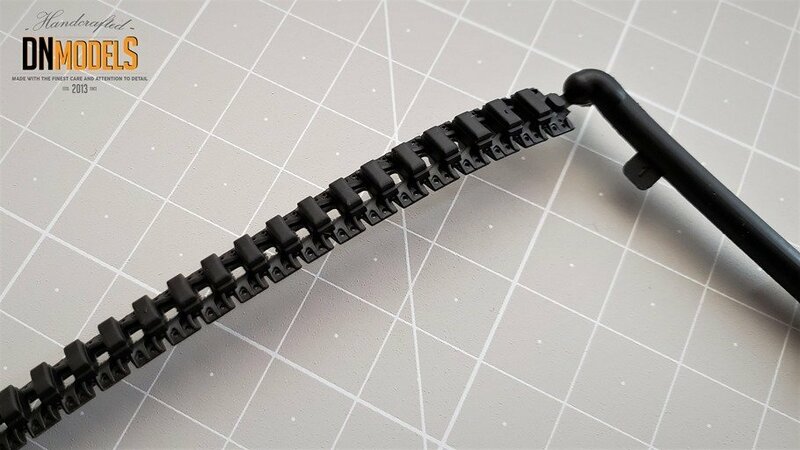 In my opinion, only Dragon offers better kit as a whole and if we talk solely about the plastic, AFV club are also very good in terms of material. 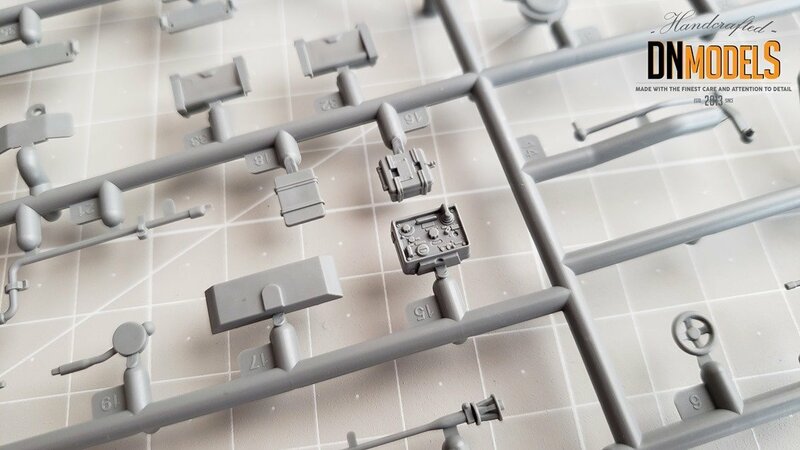 Zvezda not so much and Tamiya does not have better detail compared to ICM. So all in all, everything comes down a personal preference, availability and likeness of any particular manufacturer. 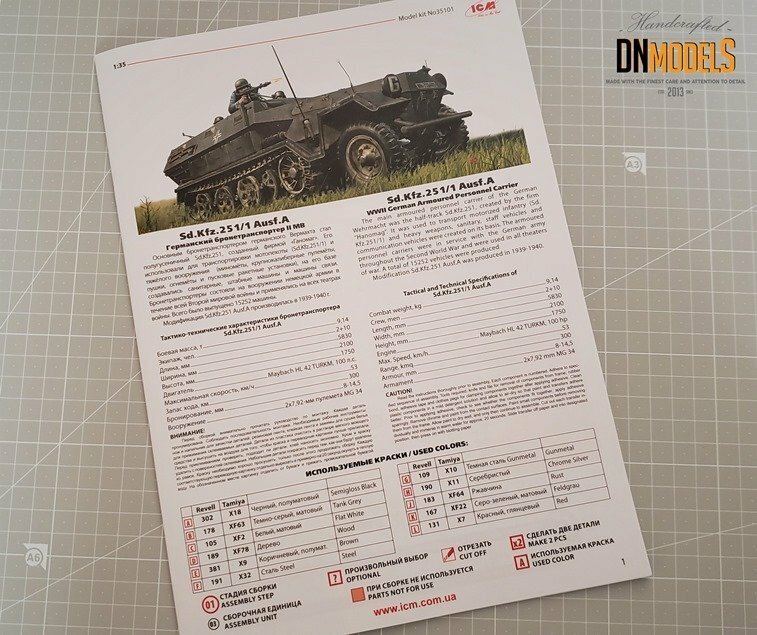 One thing is certain – ICM Hanomag hit very hard with this release. The tools and wheels are very nicely moulded, with thin details and nice engravings. 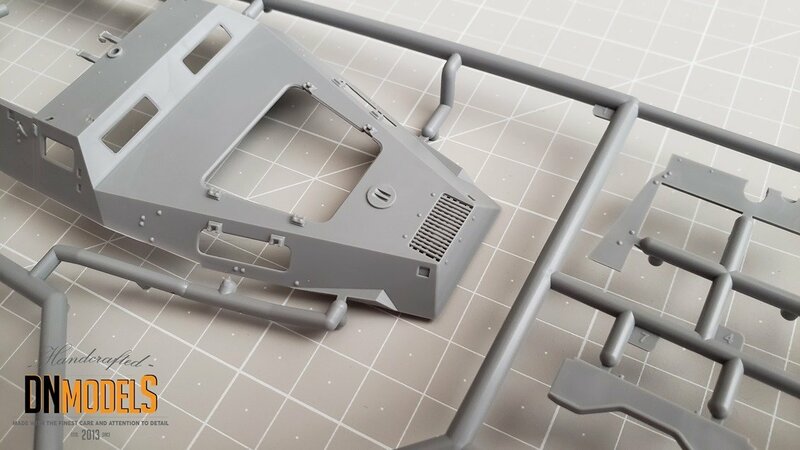 There are many small parts too, which show a certain amount of devotion from the Ukrainian model maker and promises a straight-forward building when you add the instructions and the sprues in one equation. Especially interesting are the radios, the floor corrugation, wheel details and weapons. Overall conclusion about the plastic – fascinating! The rubber parts are the front tires and the tracks. The tires are logically made from that material and look decent. Although not the best choice, the material is acceptable. The tire deformations will be a tricky thing to replicate, but that is not the worst thing with this kit. 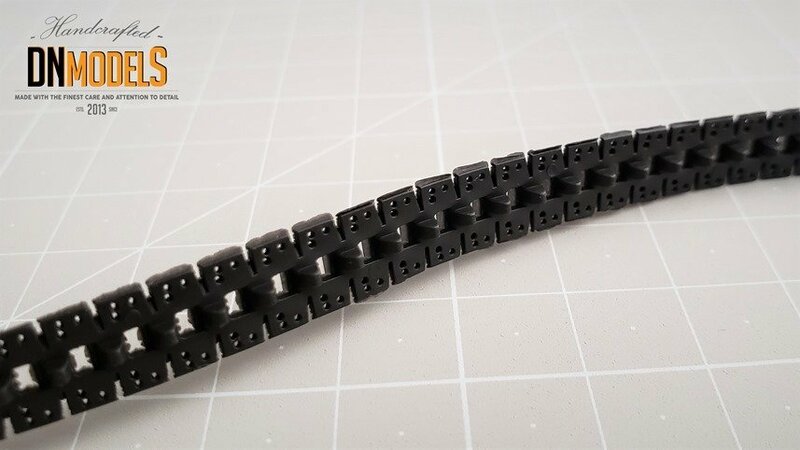 The real let down comes from the fact, that the tracks are made from this same material. 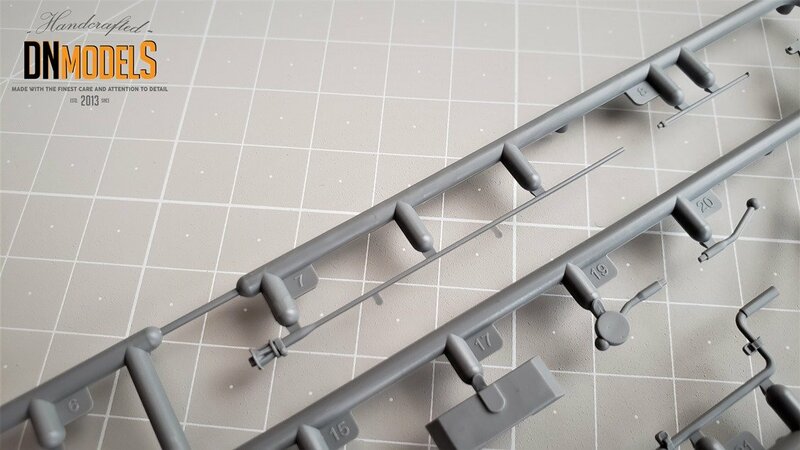 Vinyl tracks are possibly the worst thing that can happen to an experienced modeler. Unfortunately, for whatever reason, ICM picked the vinyl as an option. Same thing happened with other Sd.Kfz. 251 makers, but this is the newest tooling of them all, so such a choice is not reasonable to me. Of course, substitutes for both the tires and the tracks are available, but that’s beyond the point here. The vinyl tracks would not be well accepted by experienced builders and they even might spoil the purchase for some. 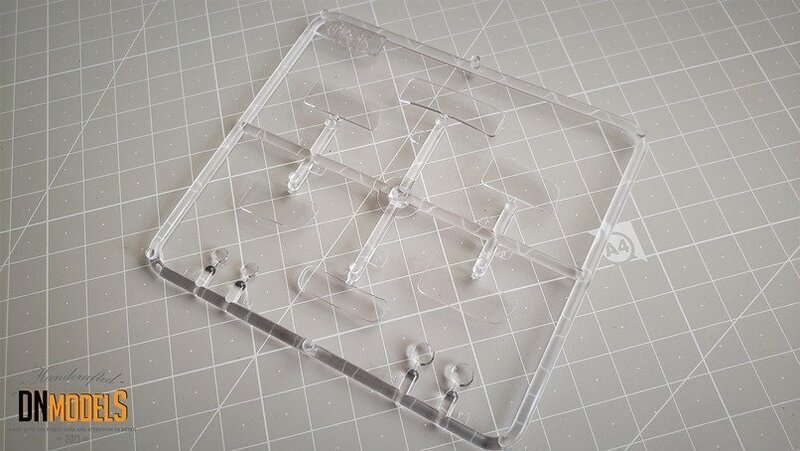 The thing is, that in order to really make this a great kit, you will need aftermarket tracks. 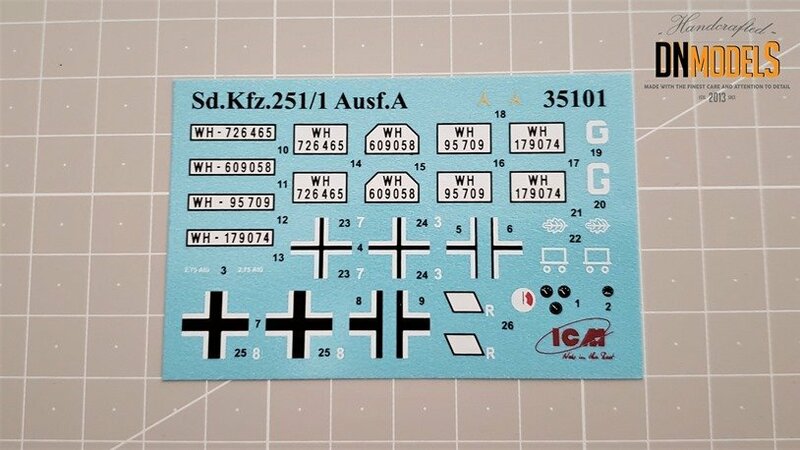 And since ICM already started a line of Sd.Kfz. 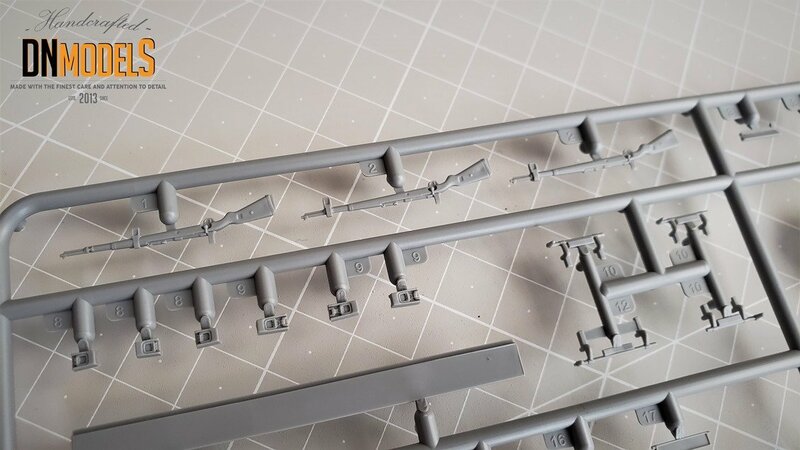 251s, I wonder, how long it will take before they offer a set with plastic tracks as an optional add-on. Such thing will somewhat redeem the situation with their Hanomag line. And if they decide that they won’t offer such a set, most likely somebody else will. We have a small decal sheet. It is a blue base, with the ICM logo in the bottom corner. 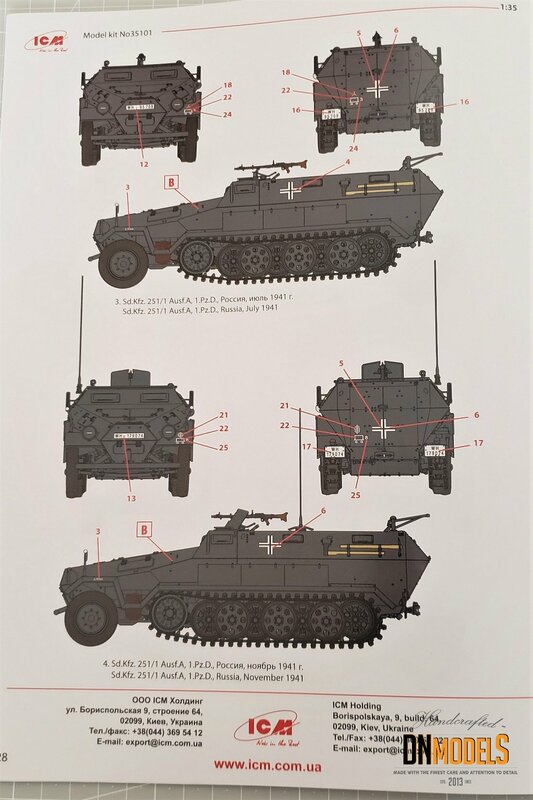 I cannot suggest who made the decals, but there are options from producers that come from Ukraine, so it is either of them probably. Nobody complained of the quality so far. There are a couple of Wehrmacht license plates, few crosses and few other smaller items on that sheet. Nothing major. Nice quality, thin carrier film, barely visible. For the crosses it is certain, that masking out and painting the crosses will be the better option, but for the small items and the license plates, the decals are still the best possible option. Probably the only one too. 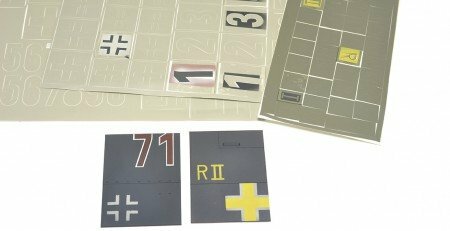 It is worth mentioning that there are plenty of aftermarket decal producers for the Hanomag vehicles, so even if you are not happy with those, there are plenty of other options too. All the four vehicles included in this set wear dark grey camouflage, typical for early Wehrmacht vehicles. They look equal, although for me, the vehicle used in Greece is of particular interest. 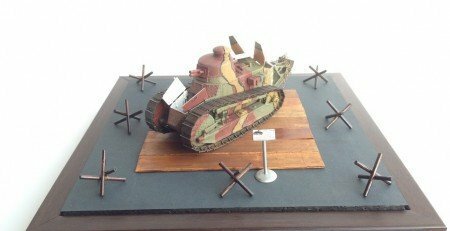 There are interesting fragments of history when it comes down to German invasion of Greece and there will be options for recreating an interesting vehicle or diorama based on that. Of course, France and Russia will offer plenty too, especially the last option, which might be done with winter camouflage as well. This is the first Sd.Kfz.251 that ICM released and that was less than a year ago. 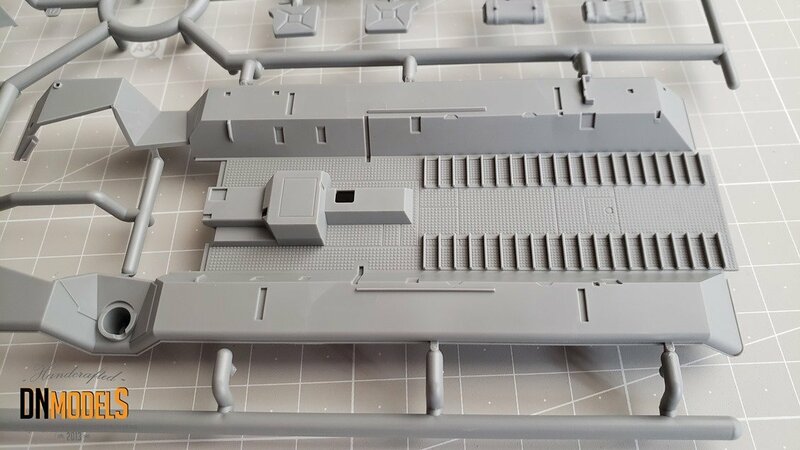 Since then, the Ukrainian model maker have expanded their line and it seems like this is just the beginning. With more than 20 variations of this vehicle and the fact that it was produced in huge numbers, the options are limitless. Hopefully ICM will exploit the subject deeply. The kit is very good out of the box, with the tracks being its only serious let down. However, the amount of detail and the overall quality covers for that to some extent. 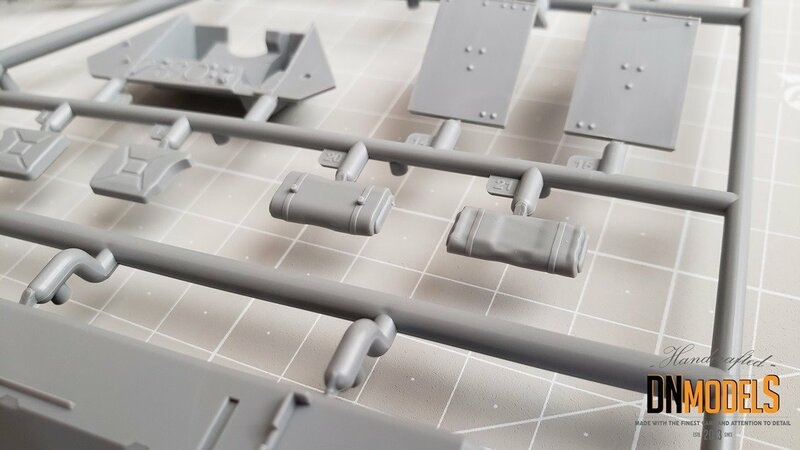 There are interior elements, engine, nice tiny little details and great attention to the small and intricate pieces of the real vehicle, that make this kit truly shine. The reasonable price is another major plus for this ICM release and I trust that it will be well accepted overall. 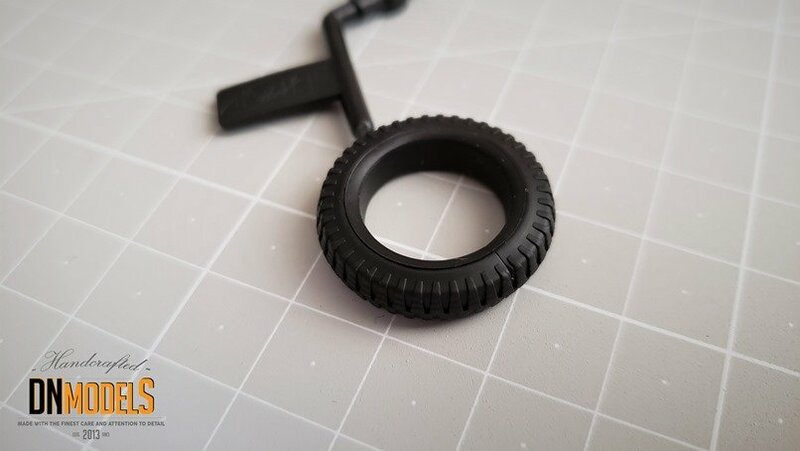 There are plenty of aftermarket options for the tracks, tires and a lot of photo-etch, which can alter this kit to another level easily. 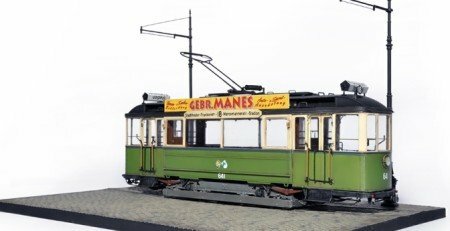 ICM provided a superb basis suitable for very wide range of modelers, which make this a great choice for Hanomag fans. The beginners can enjoy it OOTB, while for the more experienced, there is a lot to be used to upgrade it. Great job from ICM! Definitely one of the nicest options of Sd.Kfz. 251 on the market today.